X Base Reclaimed Pine With Galvanized Metal Top - Rustic Chic! 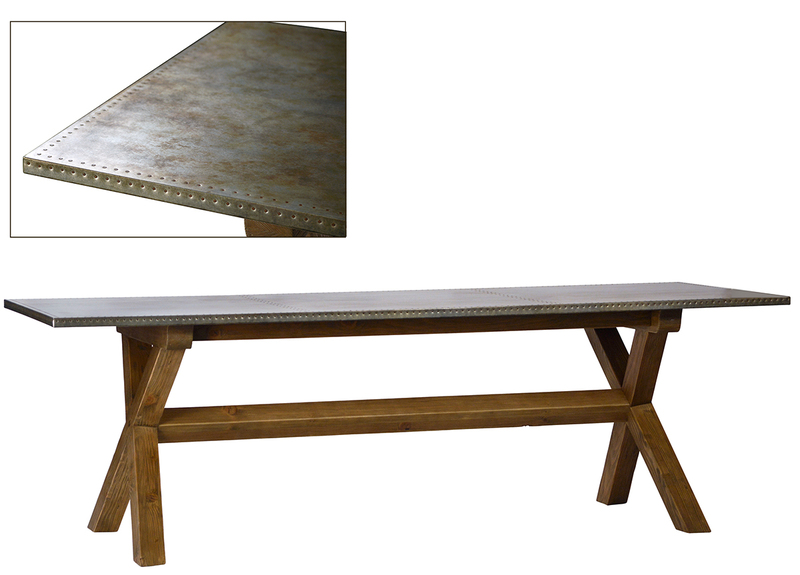 This chic and uniquely designed 94" dining table features a galvanized metal top and a reclaimed pine wood base. 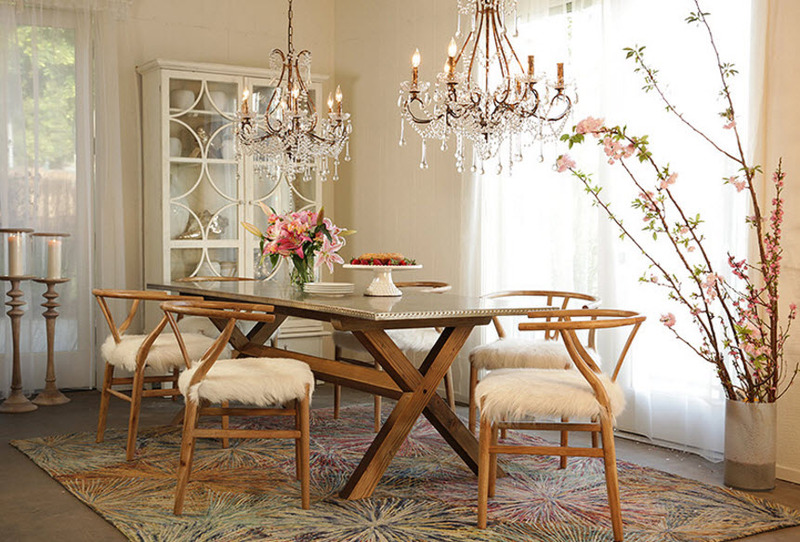 With an exquisite mix of materials and texture, this dining table a show stopper in any dining room or kitchen area.